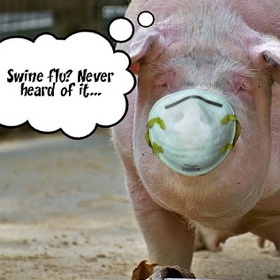 We have all heard about the swine flu on the news lately. But what is it and how does it affect truck drivers. As truck drivers we all travel throughout the country, coming in contact with hundreds of people daily in truck stops, rest areas, restaurants, shippers an receivers. We need to pay attention to our surroundings and try to stay away from people who look like they may be sick. below is an explanation of what swine flu is and ways to avoid it while you are working in your trucking job. This virus was originally referred to as swine flu because laboratory testing showed that many of the genes in this new virus were very similar to influenza viruses that normally occur in pigs in North America. But further study has shown that this new virus is very different from what normally circulates in North American pigs. It has two genes from flu viruses that normally circulate in pigs in Europe and Asia and avian genes and human genes. Scientists call this a “quadruple reassortant” virus. Are there human infections with this H1N1(swine flu)virus in the U.S.? Yes. 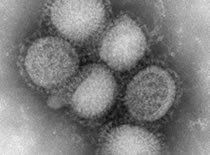 Cases of human infection with this H1N1 ( swine flu )influenza virus were first confirmed in the U.S. in Southern California and near Guadalupe County, Texas. The outbreak intensified rapidly from that time and more and more states have been reporting cases of illness from this virus. An updated case count of confirmed novel swine flu infections in the United States is kept at http://www.cdc.gov/h1n1flu/investigation.htm. CDC and local and state health agencies are working together to investigate this situation. Is this new swine flu virus contagious? What are the signs and symptoms of this swine flu virus in people? The symptoms of this new swine flu virus in people are similar to the symptoms of regular human flu and include fever, cough, sore throat, body aches, headache, chills and fatigue. A significant number of people who have been infected with this virus also have reported diarrhea and vomiting. Also, like seasonal flu, severe illnesses and death has occurred as a result of illness associated with this virus. How severe is illness associated with this new swine flu virus? It’s not known at this time how severe the swine flu virus will be in the general population. CDC is studying the medical histories of people who have been infected with this virus to determine whether some people may be at greater risk from infection, serious illness or hospitalization from the virus. In seasonal flu, there are certain people that are at higher risk of serious flu-related complications. This includes young children, pregnant women, people with chronic medical conditions and people 65 and older. It’s unknown at this time whether certain groups of people are at greater risk of serious flu-related complications from infection with this new virus. CDC also is conducting laboratory studies to see if certain people might have natural immunity to this virus, depending on their age. How does this new swine flu virus spread? Spread of this swine flu virus is thought to be happening in the same way that seasonal flu spreads. Flu viruses are spread mainly from person to person through coughing or sneezing by people with influenza. 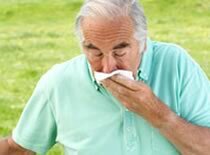 Sometimes people may become infected by touching something with flu viruses on it and then touching their mouth or nose. Can I get infected with this new swine flu virus from eating or preparing pork? No. swine flu viruses are not spread by food. You cannot get this new swine flu virus from eating pork or pork products. Eating properly handled and cooked pork products is safe. Current drinking water treatment regulations provide a high degree of protection from viruses. No research has been completed on the susceptibility of the novel H1N1 flu virus to conventional drinking water treatment processes. However, recent studies have demonstrated that free chlorine levels typically used in drinking water treatment are adequate to inactivate highly pathogenic H5N1 avian influenza. It is likely that other influenza viruses such as novel H1N1 would also be similarly inactivated by chlorination. To date, there have been no documented human cases of influenza caused by exposure to influenza-contaminated drinking water. Germs can be spread when a person touches something that is contaminated with germs and then touches his or her eyes, nose, or mouth. Droplets from a cough or sneeze of an infected person move through the air. Germs can be spread when a person touches respiratory droplets from another person on a surface like a desk, for example, and then touches their own eyes, mouth or nose before washing their hands. Follow public health advice regarding school closures, avoiding crowds and other social distancing measures. Be prepared in case you get sick and need to stay home for a week or so; a supply of over-the-counter medicines, alcohol-based hand rubs, tissues and other related items might could be useful and help avoid the need to make trips out in public while you are sick and contagious. What is the best way to keep from spreading the virus through coughing or sneezing? If you are sick, limit your contact with other people as much as possible. Do not go to work or school if ill for 7 days or until your symptoms go away (whichever is longer). Cover your mouth and nose with a tissue when coughing or sneezing. It may prevent those around you from getting sick. Put your used tissue in the waste basket. Cover your cough or sneeze if you do not have a tissue. Then, clean your hands, and do so every time you cough or sneeze. If you live in areas where cases have been identified and become ill with influenza-like symptoms, including fever, body aches, runny nose, sore throat, nausea, or vomiting or diarrhea, you may want to contact their health care provider, particularly if you are worried about your symptoms. Your health care provider will determine whether influenza testing or treatment is needed. Active surveillance in the counties where infections in humans have been identified; Studies of health care workers who were exposed to patients infected with swine flu virus to see if they became infected; Studies of households and other contacts of people who were confirmed to have been infected to see if they became infected; Study of a public high school where three confirmed human cases of influenza A (H1N1) of swine origin occurred to see if anyone became infected and how much contact they had with a confirmed case; and Study to see how long a person with the virus infection sheds the virus. Links to non-federal organizations are provided solely as a service to our users. These links do not constitute an endorsement of these organizations or their programs by CDC or the federal government, and none should be inferred. CDC is not responsible for the content of the individual organization Web pages found at these links. How long can the swine flu virus remain viable on objects (such as books and doorknobs)? Studies have shown that swine flu can survive on environmental surfaces and can infect a person for up to 2-8 hours after being deposited on the surface. What kills the swine flu virus? How should waste disposal be handled to prevent the spread of the swine flu virus? 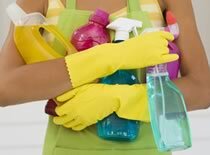 What household cleaning should be done to prevent the spread of swine flu virus? To prevent the spread of the swine flu virus it is important to keep surfaces (especially bedside tables, surfaces in the bathroom, kitchen counters and toys for children) clean by wiping them down with a household disinfectant according to directions on the product label. Linens (such as bed sheets and towels) should be washed by using household laundry soap and tumbled dry on a hot setting. Individuals should avoid “hugging” laundry prior to washing it to prevent contaminating themselves. Individuals should wash their hands with soap and water or alcohol-based hand rub immediately after handling dirty laundry. Eating utensils should be washed either in a dishwasher or by hand with water and soap. *Note: Much of the information in this document is based on studies and past experience with seasonal (human) influenza. CDC believes the information applies to the new H1N1 (swine) viruses as well, but studies on this virus are ongoing to learn more about its characteristics.